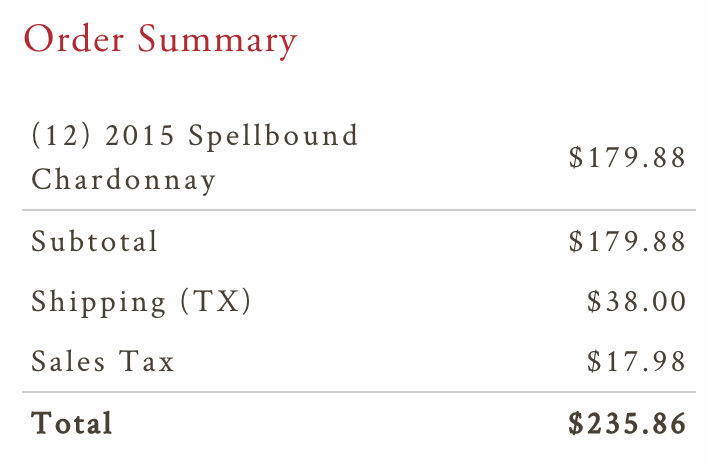 Spellbound Chardonnay features bright and lush tropical fruit flavors with notes of vanilla and classic crème brûlée. Its medium body and bright acidity make for a pleasant and lasting finish on the palate. Enjoy this wine on its own or with a variety of cuisine from the Pacific Rim to the fiery Southwest. Blackened fish, Caesar salad, cream chowders and soft cheeses all make for delicious pairings. Everyone knows the warm sun nurtures plants, bringing grapevines to full maturity. But since ancient times farmers have also depended on the moon, ruler of the tides, whose gravitational force pulls water up from the soil, supporting vines during the cool nights that maintain beautiful balance in wine grapes. Spellbound wines are sourced from winegrowing regions throughout California where warm sun and cool, moonlight nights result in expressive, approachable, balanced wines. These wines are true to their roots, expressing ripe varietal character with a style that elevates every occasion—from special events to everyday meals around the family table. The founding partners of Spellbound chose the name and label imagery to suggest the ever-present magical, mystical force of the moon. Spellbound wines are sourced from throughout the winegrowing regions of California. As we craft these wines, we take inspiration from the celestial spirit of the lunar calendar, which reminds us that all life’s phases are worth remembering. These wines pair with everything from oysters on the barbecue to Wednesday night mac-n-cheese. Share them with all the people in your life - family, newfound friends, or those you’ve known for many moons. Spellbound Wines are about the spirit of celebrating the best things in life – from special events to a quiet evening with family and friends. Our desire is to craft everyday, approachable wines from California that are relaxed enough to enjoy anytime, yet special enough to celebrate life’s milestones. We hope Spellbound wines will help you make every moment special. “AbV 13.5%, rest is missing. Perhaps a wizard did it.” Winery, please chime in if you can with the PH at least? (I find it immensely helpful in predicting my household’s tastes. Might not matter too much, the other main wine aficionado in my house just went on a new med this week that means he can’t drink alcohol (at least until he’s on the full dose and acclimated to it, because it’s a super strong antihistamine, and mixing alcohol and antihistamines are a Bad Life Choice) so I’m going to be a bit pickier with my buys while that’s sorting out. While a lot can be read between the lines in the tn’s, the price here speaks loudly. Did I miss any reference here to the Mondavi connection? @kaolis @rjquillin what are you reading between the lines here?? Those notes seem very clear to me. @ScottW58 Yeah, you don’t need a magic decoder ring to understand “oaky” or “buttery”. Goddammit, i have no more room but I really want this, any dsm peeps want any, let me know, im getting a case. ETA: Oh hey, no Iowa shipping for once, now I’m swearing for a different reason. Great wine for the price, IMHO. Give the man some credit he’s found some real winners. @CorTot @Winedavid49 Yes he has, so I’m guessing because you commented that the Rombaur I forced you to try at my house you secretly loved when are we getting together again? @ScottW58 @Winedavid49 the cougar juice was very cougary!